WHAT IT TASTES LIKE: Floral, sweet and grassy to more complex and intense as it becomes creamier and full-flavoured with maturity. Dense, silky texture. 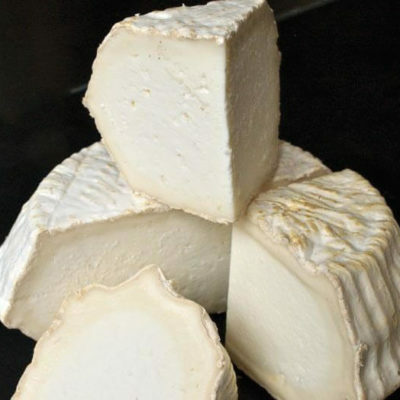 WHERE IT COMES FROM: Made by Kevin and Alison Blunt from the milk of their own mixed herd of British Saanen, Toggenburg and British Alpine goats at Greenacres Farm, near Golden Cross, Sussex. 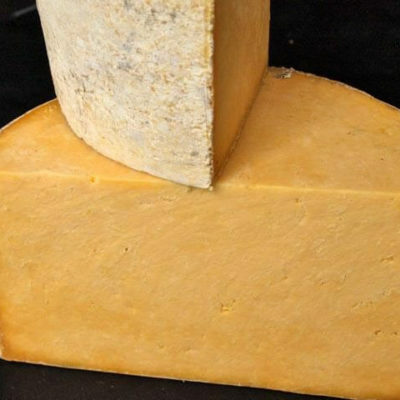 Matured for around two to three weeks on average, it is charcoal-rolled to promote mould growth. Winner of a super gold medal at the World Cheese Awards 2014. Gold winner at the 2017 Artisan Cheese Awards.